Ali is infinitely more interested in learning if it’s happening on an electronic device. 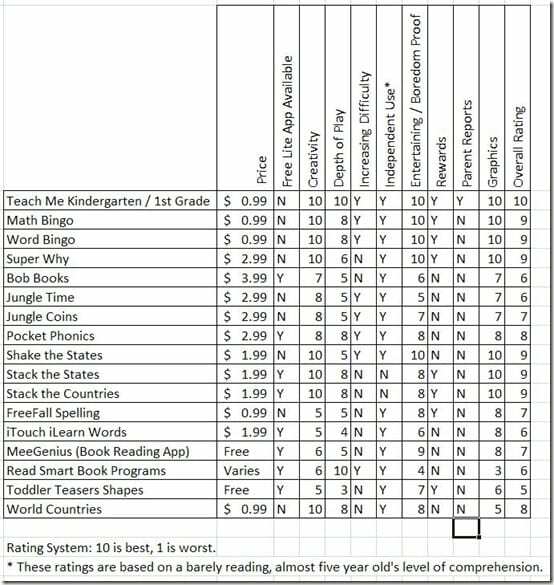 After seeing her excel greatly in schooling while using apps on my iPhone, we bought an iPad as an investment in our homeschooling future. Obviously, there are still many things that we do the old fashioned way, but the iPad has greatly increased her interest in learning as well as the speed of her learning curve. Good apps, however, were not as easy to find as I had anticipated. I’ve spent weeks researching and scouring the app store in order to fully utilize our new tool. With that being said, here are my reviews of the best apps (all available on iPhone and iPad) that I’ve found. They’re great for homeschooling, for supplementing school, or for simply for letting your kid play “edutainment” games that will teach them without them even knowing it – it’s like sneaking carrots into their cookies, virtual style. Teach Me Kindergarten / Teach Me First Grade – these two apps are by far my all-time favorite learning tools. They have everything that makes an app great – depth of learning (it swaps up between addition, subtraction, sight words, and spelling to keep the kid’s attention and give variation in learning), increasing difficulty, rewards (it gives them coins when and only when they get the answers right, and the fun rewards cost different amounts of money so they learn to save money), a high level of parental customization and tracking, usability for multiple students, and it is entertaining. Ali played Teach me Kindergarten on my iPhone for a year, and is now doing Teach me First Grade on the iPad and still loves it. 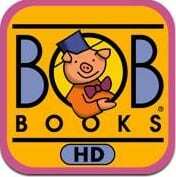 If you only download one educational app, download one of these. 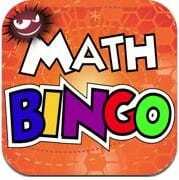 Math Bingo – This is one of Ali’s favorite apps. It’s great because it’s super educational, but also extremely entertaining. You get to put “Bingo Bugs” on your bingo sheet at the right answer for math problems. You can play addition, subtraction, multiplication, division, or all four. Within the first week, Ali learned how to add double digit numbers because she wanted to play Level 3 Addition. By the third week, she learned the basics of multiplication because she wanted to play in that mode. She can either play this one alone in the lower levels or with me helping her learn in the harder levels, which makes it more interesting for her and more dynamic of a learning tool. It also has a fun game that you get to play as a reward. 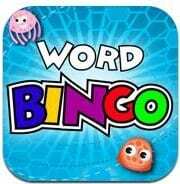 Word Bingo – This is the same as Math Bingo, except with sight word recognition. It also has multiple levels and a fun reward game. It’s great also, but Math Bingo is our favorite. Super Why – This is one of the best imagination-driven games I’ve seen – it is just like the television show, except that the kids really are getting to participate (rather than the awkward pretending to participate thing that kid’s TV shows do these days). The level of it is for very beginning readers, though, so it isn’t very challenging and doesn’t increase in difficulty. But Ali loves to play it anyway! Bob Books #1 / Bob Books #2 – There are hardly any apps out there that focus on actually reading, and this one is about as close as it gets. The graphics are beautiful, and the words are great beginner words. HOWEVER, it’s very shallow – it starts back at the beginning every time, each page stands alone and doesn’t continue a story, and there’s no way to skip around to different pages. I don’t even know how many pages there are, because Ali always gets bored before she gets to new ones. This app has the potential to be great, but for the price ($3.99), it’s not worth it yet. Maybe check out the free version first. 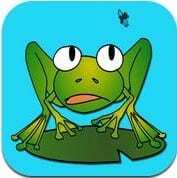 Jungle Time – I was very excited when I found this app and it’s sister app, Jungle Coins, because it fills the gaps of first grade Math not covered in the Teach Me First Grade app. 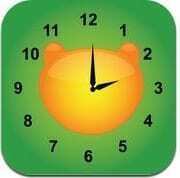 This one teaches how to tell time, and you can set it at varying levels of difficulty. Very cute app, but Ali got bored with it pretty quickly. I’m hoping she’ll become more interested in it later. 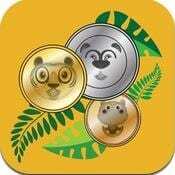 Jungle Coins – Ali likes this app much more. It also has varying degrees of difficulty in learning what coins are, counting coins, and making change. This is a great game for teaching something that I’ve had trouble in the past getting Ali interested in learning. 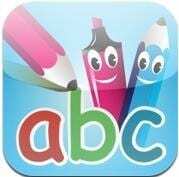 abc PocketPhonics – This game is great for practicing the basics of recognizing letter and blend sounds and writing letters. It’s very easy to use without any help, and Ali is entertained by it quite a bit. It’s not necessarily challenging, but it is good for reinforcing concepts. 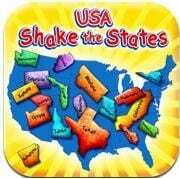 Shake the States – I’ve downloaded several geography apps, but this one is by far our favorite. It’s a simple puzzle-like game (you can choose to have the outlines of the states turned on or off for difficulty), but the voice names each state as you put it on, and the graphics are great and very entertaining. After playing it just one time, Ali was easily re-familiarized with all of the states, even the tiny ones. 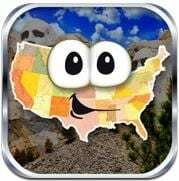 Stack the States – This is another fun geography app, but it’s a little too advanced for Ali, as it requires reading the questions. Also, some of the questions are pretty challenging. However, the fun of stacking the states makes it compelling for her to play, even if Mommy is having to tell her the answers to most of the questions. I do, however, tell her the name of the state that is correct and let her pick it out of the four choices– it helps her recognize their shapes. Stack the Countries – Again, the questions require reading and are way too hard for Ali (I’ve learned quite a bit, though! ), but she still loves it. And a tip with this game: the first bonus game you “earn” is a simple game of placing the countries on the correct place on the map, something I’ve been looking for in an app for ages. So I actually prefer the bonus game for Ali rather than the main game. FreeFall Spelling – This app is just “cute” – cute graphics, cute rewards, cute music. It’s not very deep and doesn’t have increasing difficulty or more than one element of play, but it’s cute, and it will keep the attention of a kid for a while and help them practice spelling while they’re at it. iTouch iLearn Words – This game is just okay. It’s very low-level for early readers, doesn’t have many options, has annoying voice-overs, and is pretty shallow. But Ali finds it entertaining, so it’s not all bad. 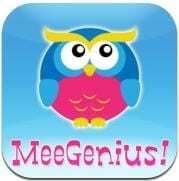 MeeGenius – This is a free book-reading app (i.e. it reads the books to you). It comes with several classic books loaded on it, and it wants you to buy more. Ali has loved the freebies, and we have not bought anymore. She lets it read and re-read these books to her over and over. 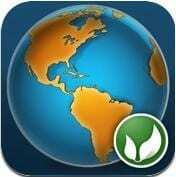 It’s a great free app. LAZ Reader Sets – I REALLY wanted these to be good, because there is a severe shortage of reading apps. But since the sets are $6.99 each, I downloaded a couple of the free single readers before buying (like A Seed Grows). And although I love that the books teach kids simple science facts while reading, the interface itself is terrible – if you touch the screen to point at a word, the page flips. It’s impossibly hard to help a kid learn to read without touching the screen!! Other than that major and most annoying flaw, these readers have great potential. Maybe just download the free singles until they fix it. Toddler Teasers Shapes – This is an excellent first game for a small child (and free!). This was one of the first apps I ever got for Ali, and she loved it. 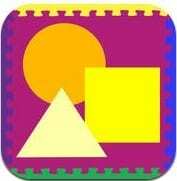 It’s super simple and just quizzes the child on shapes, but it’s a great way to learn how to use an iPhone, and great for kids still learning their shapes. It also has a fun sticker reward system. 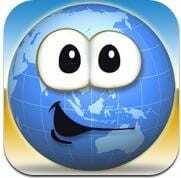 World Countries – This is a great geography app, having different quizzes on countries, flags, and memory match games. Even though she’s really too young for it, Ali loves it. I am disappointed that it doesn’t have an iPad version, though. 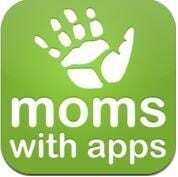 Moms With Apps – This is a free app with a great catalog of apps for kids. It’s divided up into different categories, and I found a lot of great apps via their app. What apps have you discovered? 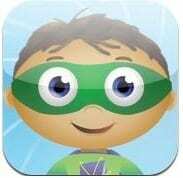 What apps are your kid’s favorites? I added more apps in my sequel post, available here. Previous Post A Burlap Birthday. Oh, wow! Thanks for posting this. We will be downloading some of these! My girls also love Math Bingo (not to mention my husband who is literally addicted to Bingo Bungee on it – forget Angry Birds, he always chooses the bingo bugs!) They also love Stack the States & Countries. It’s not very educational, but Cookie Doodle is one of their favorites (it has different cookie recipes and you make and decorate your own cookies.) Starfall has a simple app as well; it’s not nearly as awesome as their website as it just as the ABC options, not the beginning and intermediate reading options, but it’s perfect for Abby who’s two and half. Last week I bought a beginners sudoku for my big girls. They’re hanging in there pretty well with it and starting to enjoy the challenge of something that requires a bit of logic. I don’t have my ipad with me now, so I might be missing something, but I think those are our favorites. I’m definitely going to try out a few that you recommended as well – thanks! The Bingo Bungee IS addicting. I find myself wanting MY turn when Ali’s playing it. Lucky for me, she shares. Thanks for those recommendations!! Cookie Doodle sounds especially fun. Ali would love that! You should check out Famigo (http://famigo.com/). They review iphone and Android apps for families and have whole sections for education apps and you can break it down by age group too. (Also, their adorable baby mascot August is Noah’s age and one of my good friends from Austin is one of the founders – really solid, good company). 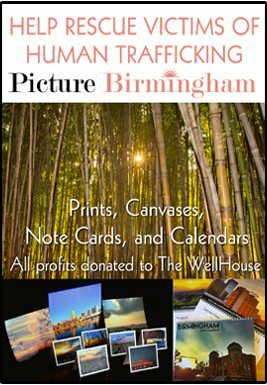 Thanks for the awesome site recommendation!! 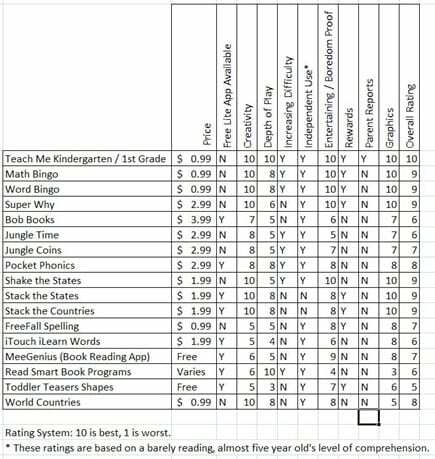 I’ve had trouble finding sites that reviewed educational or family apps – I’m checking it out now and super excited about it! You do have to remember Ali is above the learning curve for most, probably because of the intellegent, self proclained geeky parents she inherited. She is far above the children I have had in church. Of course, they go to public school which in their defense are supposed to be good schools down here, they just take things so much slower and some kids get bored. The great thing about homeschooling is you can move at the child’s rate. Rachel, this is awesome – thank you so much for posting this. I’ve been wanting to get something on my iPad for them to play but it’s so hard to tell what’s going to be fun for them, while still educational. My mum’s got one on hers that Kee really loves… It’s just practice writing letters, but she doesn’t seem at all interested in practicing any other way, so it’s great. Sadly, I’ve got no idea what it’s called. No problem! I hope they love some of these apps – Ali sure does! Thank you thank you thank you! Your spread sheet made me laugh, but I am seriously happy that you posted this list! I have been wanting to find some good games for my girls for a long time but just haven’t had the chance to do it. I will definitely be adding some of these…maybe one at a time so it isn’t so overwhelming. Thanks again! P.S. I like the new header! 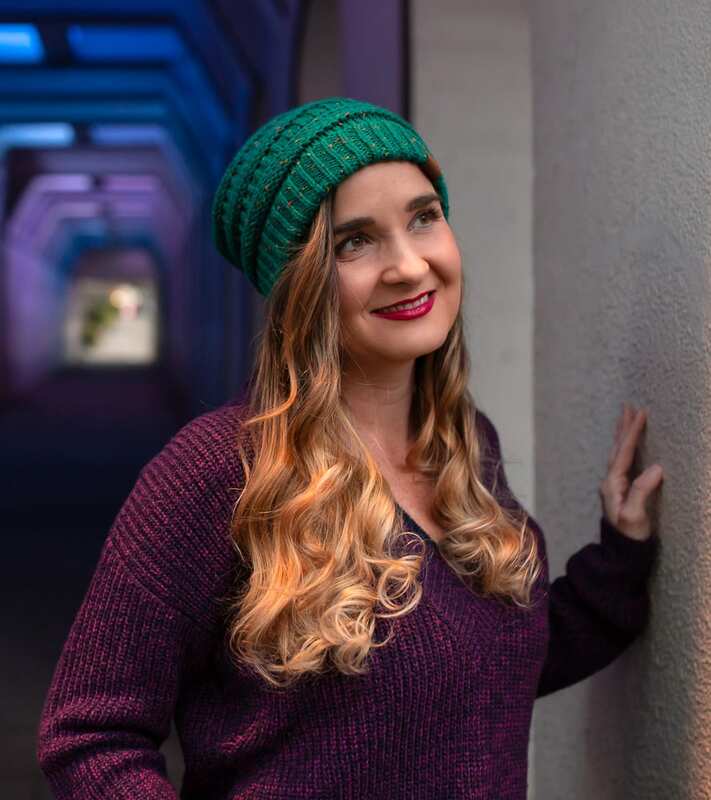 I’m so glad Ali has a geeky mom who goes to the trouble of researching, creating spreadsheets and passing the information around to those of us who would like to know but are a bit on the lazy side… Thanks Rachel! I live to make a good spreadsheet. Dishes, on the other hand, stay unwashed. This is great! My problem with a lot of the apps are the ads and ability for the child to make purchases. I have the Doodle Dots from PBS kids that I like because there is nothing that mijo can press and get n trouble. Probably too easy for Ali now though. The only app listed above that you can make in-app purchases in is the MeeGenius. Ali ALMOST bought a book through there before I caught her. Of course she didn’t even know what she was doing… but all of the rest, I THINK, are safe. Thanks for the list! I hope some of these are also set for the Android market. My hubby bought a Gtablet instead of an ipad and even tho it was half the price I really with we just gone for the ipad. It doesn’t work properly most of the time and it seems like all the good apps people keep pointing me to aren’t available on it:( My kids do love to play with it so I think educational apps would be very worth it. p.s. That graph is hilarious. wow. i need to check in to these. my son is the same way. he LOVES the screens. Oooh thank you – this is a really useful list! Glad you guys are enjoying your ipad. :) I really should do a post about how the ipad has helped increase Jack’s interest, improved his hand-eye coordination, and is helping him to show us how much he does know. Isn’t it an amazing tool?? I sometimes feel guilty for relying so heavily on an electronic device, but it is unbelievably efficient!! This is fantastic. If you only knew how many times I have googled, “educational iPad games,” I would be embarrassed. I can pretty much make my kids do anything if I promise them iPad games. Seriously. And, the spreadsheet just makes me giggle. It’s great, but it still makes me giggle. Thanks for this! 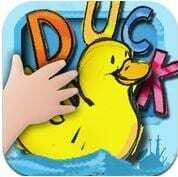 I am always looking for new apps for the iPad that the kids can play. And if they learn something too, all the better! Wow, thanks so much for sharing all your research! I’ll be pinning this to come back to! Wade and Haylee both LOVE to play games on our iphones!! Ryan was just talking about getting an iPad for the kid’s education. We’ll have to check out all these apps! Thank you for all these. My iPhone has been busily downloading all afternoon. Can’t wait to try them out!! My four year old loves Monkey Preschool Lunchbox and Monkey Math School Sunshine.